Probably still hit Warren most of the time since it is a 5 minute drive but will definitely have to check this place out. Great news and this is much needed in OKC! However, what about the distance limitation from the Quail Springs AMC? I thought doing a theater at Chisholm Creek was going to be a problem because of that? My only disappointment here is that this isn't downtown. Would really like to see a similar concept in the urban core. Oh hell yeah. See ya AMC Penn. NW Warren is tbd. Might be a loophole because Alamo isn’t a true “movie theater”. 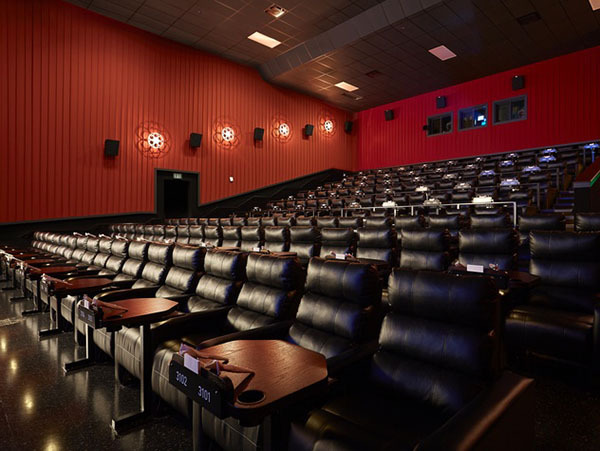 Has anyone been to both the directors suites at the Warren and the Alamo Drafthouse and how do they compare? I've heard from a couple of people that they prefer the Warren. Drafthouse is about half/a third of the price, depending on showing. They charge regular theater prices. To me, the experience is worlds apart. Warren, iPic, all the others that try to give an 'elevated' experience just feel to me like they went to a Drafthouse and said "hey, I can do that!" without really getting it. Points to the Director's Suites being limited to 21 and over, but overall the Drafthouse's dedication to everything movies borders on worship. The ads before the movie aren't ads, they are clips from movies/tv shows/cartoons that usually relate in some way to the movie/theme. The PSA about shutting the hell up and turning your phone off is more serious than a heart attack. If you show up late, you're not getting in. If you bought ahead/online, they'll give you a refund, but they won't let you disturb the other moviegoers. They often have a themed menu for movies. This is just the normal, every day experience, and doesn't even cover the events. Like when they had a special showing of The Wrath of Khan a bit before the first JJ-Verse movie aired...Leonard Nimoy walked in and said hey, wanna watch this, or the new movie? At a showing of the Back to the Future movies, Christopher Lloyd showed up in a DeLorean. Maybe that agreement isn't as strict as we thought. The competition for AMC Quailsprings and Penn Square is about to become intense in about a year. All I know is that Alamo isn't concerned about being so close to the AMC. Not sure why but if they aren't worried, I'm not worried. Been to the one in Austin. It's really a cool setup with the drinks and the food is actually good. The chairs are large and spaced out very well. So, is the Drafthouse just a one screen theater or is there more than one screen? I've been to both Warren and Alamo. I prefer Alamo Drafthouse. I thought the food was way better and so were the drinks. I also liked their theme nights---it was fun! Comfort-wise, Warren is better---in particular the Director's suites/balcony had nicer chairs and more luxury, but the vibe is a little stiffer i think. Not that Warren is bad---its great just my personal preference was Alamo. Plus like a previous poster says the movie going experience is STRICT (for regular non-theme/special event stuff)...no talking/texting, etc. You get one warning and then your banned. Every Drafthouse I've been to had multiple screens. So does this make 3 new theaters all right next to each other? 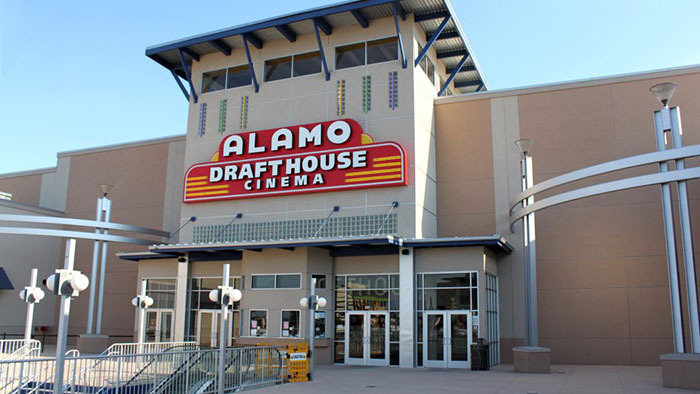 The Alamo, the new Warren, and the brewery/theater combo deal going in by American Fidelity? That's a lot of new theaters right next to another established theater in an industry that seems to be declining in patronage. OKC currently has very limited movie offerings and other than the Moore Warren, no real dine-in, drink-serving types of places. And even at the Warren, it's very limited. 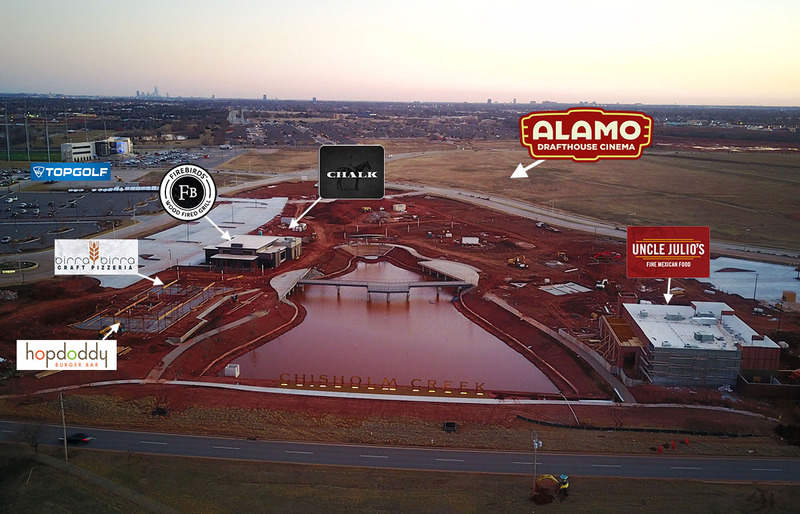 It's pretty unbelievable that in all of North OKC and Edmond, there is only the Quail AMC, Penn Square (which is quite small) and that tiny old place at Kickingbird Square in Edmond. Seems like people don't really even much consider Tintletown on the NE side. In fact, other than the Warren in Moore and the Quail AMC, OKC doesn't really have any newish movie options. All this is long overdue. It's just like breakfast places... Someone finally wakes up and adds one and all the sudden you have an avalanche and they are all packed. That's what I was wondering as I've heard movie theaters in general are on the decline. I know I might go to a movie once or twice a year and that's it. Traditional theaters are declining but there is a lot of growth in these dine-in concepts. I really admire the serious approach to movies Alamo takes. I’m curious if they make exceptions on their texting rule. What about a family member or parent waiting on health news or updates on their child, for example? Just curious how strict their policy is. It's been a while since I've been to an AD, but it's very strict. I don't think there's anything stopping you from stepping outside to check your phone, though. Movie theaters have the same problem that traditional box stores have: I can watch movies and get stuff online, spend less money, and have less stress than going to Walmart/AMC/Toys-R-Us/etc. One way to gain these customers back is by not just offering products, but by offering experiences. Alamo is one of those places that have that concept figured out. I remember when home video came out everyone predicted the demise of the movie theater, but their business actually increased. But now, big screen TV's, home theater systems and being able to get almost any movie on demand has finally dictated that you need to offer something more than a movie on a screen. The chains that are thriving have evolved to address that. And Alamo does all types of theme nights, etc. I think it depends on what you mean by traditional movie theater. Large multi screen theaters are on the decline because there isn't enough high quality movies to justify having 12+ screens let alone 24 screens like AMC Quailsprings. Theaters are better off having larger nicer auditoriums. They have a 'relaxed' option, especially at "Alamo for All" showings, the information is available on their website. Other than that, no means no, there is no leeway. Turn your phone to silent and when you feel the vibration, discreetly exit the theater. As noted, you'll get one warning. As for trying to get away with it, here's how it works. There are pencils and papers as well as the menus. You place your order by writing it down, folding it in half, and placing it on the table in front of you, there is a metal bar with space behind it, so the paper sort of sticks up like a flag. People will also use that method to narc on you, and you'll never know who did it because EVERYONE is writing stuff on paper and sticking it there. The bottom line is, while everyone understands that there are emergencies in life, the Alamo doesn't agree that your personal emergency is a problem for the rest of the moviegoers. If it is truly important, you have the option of putting your phone on silent and exiting the theater when you feel the vibration. You don't have the option of taking the call and disturbing others. If this is truly an issue, the Alamo Drafthouse is happy to direct your custom to the AMC, which tried to go the opposite route and encourage texting during their showings. I don't think it's been linked here yet, I know I haven't because I think it was widely covered in the news, but if there is any doubt about the policy, this should clear it up. Warning: Language. If someone thinks they are above the policy, they will literally be made an example. If you're not able to view the link right now, to sum it up, very drunk girl called and left a voicemail whining about getting kicked out and saying she would never return. Alamo Drafthouse made it their PSA shown before movies and added their own text to the effect of thank you for never returning. tl;dr: "But what about..." The answer is no. For any scenario, the answer is no.